Sydney Airport is in chaos following severe storms across the city on Thursday. PASSANGERS heading to Sydney Airport are being told to expect significant delays following wild storms that lashed parts of the state on Thursday. Giant hailstones, torrential rain, strong winds and thunderstorms sparked havoc across the city, with at least 40 domestic and international flights cancelled to and from Sydney airport on Thursday. Speaking to news.com.au, a Sydney Airport spokesperson said passengers should expect a flow-on effect from the cancellations into this morning. "Currently in the T2 terminal we have had seven arrivals cancelled and nine departures cancelled," they said. "In the T1 terminal we have had two cancellations and a small number of delays. But passengers should check with their airline for further information." Qantas was forced to cancel around 20 domestic flights and a further five today. 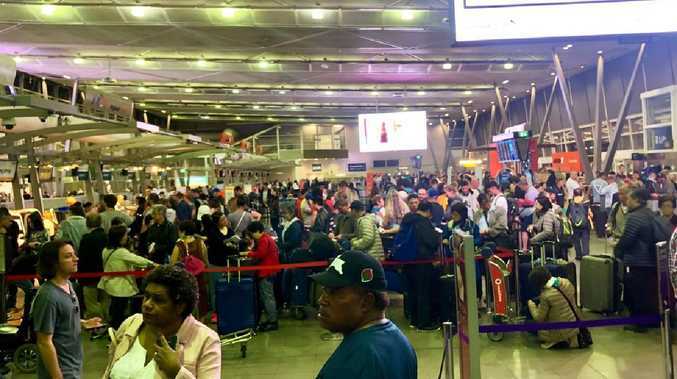 Customers have been contacted and re-accommodated on the next available services but have been met with lengthy queues as people gather to reschedule flights. Lengthy delays are expected at Sydney Airport. A Jetstar spokesperson told news.com.au that relief flights had been scheduled to deal with the backlog. 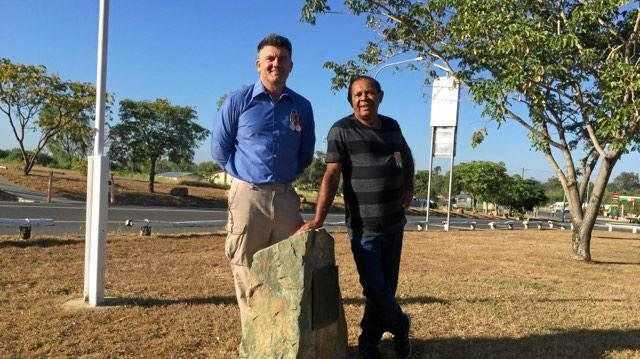 "We've cancelled one morning flight from Sydney to Adelaide and its return due to the weather in Sydney," a spokesperson said. 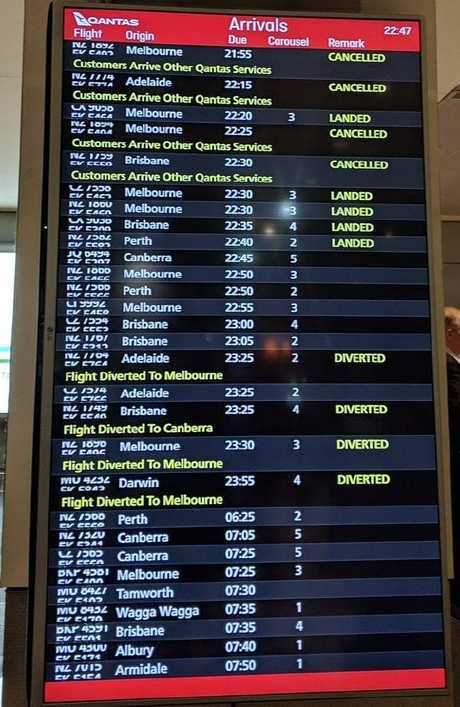 "Yesterday a total of seven return flights between Sydney and Melbourne were cancelled due to the storms. "We've added six relief flights this morning to accommodate affected customers today and get them to their destination as quickly as we can." Parts of New South Wales were smashed by a furious storm cell on Thursday, bringing strong winds, giant hail and heavy rainfall. Parts of the northern beaches were without power on Thursday night as the fierce thunderstorm swept through. Ausgrid said electricity had been cut to thousands of homes, mainly on Sydney's north shore and the northern beaches. By 11pm, 26,000 customers were still without power. AusGrid said emergency crews were working to restore power as quickly as possible. Further storms are predicted to cause more chaos in Sydney today, with the Bureau of Meteorology predicting storms will be likely to develop again this afternoon.